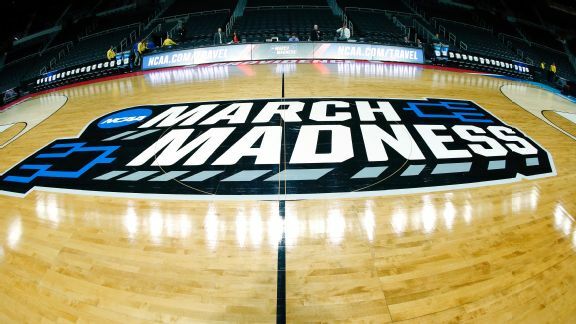 For many sports fans at Milken and around the world, the most wonderful time of the year has arrived: The NCAA’s March Madness Tournament which begins today, Thursday, March 15. While many students and fans may just be starting to pay attention to the college basketball scene, it’s important for all fans to have a little bit of background information. For all those slightly less-educated March Madness maniacs at Milken, as well as diehard fans, here are a few teams to watch in this year’s tourney. Making their first ever NCAA Tournament appearance, Loyola University is set to face off against the sixth-seeded Miami Hurricanes who have had an incredibly spotty season. If the Ramblers can get past Miami, they’ll likely face Tennessee who has been susceptible to upsets including losses to Georgia, a non-tournament team, and Alabama, a bubble team. Therefore, it isn’t unreasonable to suggest that Loyola will reach the Sweet 16. The Missouri Valley Conference Tournament champs will have to battle to beat the much larger schools in their way, but be on the lookout for this gritty team to be around for the second weekend of tournament play. The University of Arizona Wildcats started off the season as one of the top three teams in the country and were projected to be a #1 seed in the West Region. They had high expectations of making a deep run in the tournament until the Battle for Atlantis tournament in which they dropped three games in a row and fell out of the top twenty-five. Granted they were without one of their star players, Rawle Alkins, but that was only the beginning of what was yet to come. ESPN came out with a report saying head coach Sean Miller paid Deandre Ayton $100,000 to come play for Arizona. While these reports have yet to be proven true, Arizona got a lot of negative attention and analysts were unsure about their postseason amidst the FBI investigation. That all changed when Ayton led Arizona to the Pac-12 championship, scoring 32 points against UCLA and USC. Many analysts believe that Arizona was grossly underseeded and they have the talent of a #1 seed. Arizona has a tough draw and will potentially play the #1 overall seed Virginia Cavaliers in the sweet sixteen, but if this team is hot, watch out. When the West Region was announced on Sunday, the weakest #1 seed got a tough route to the Final Four. With potential matchups against #8 Missouri Tigers in the second round, #4 Gonzaga Bulldogs in the sweet 16, red hot #3 Michigan in the Elite 8 and last year’s national champions #2 UNC, their potential next six games will be tough. Xavier has talent with senior guards Trevon Bluiett and J.P. Macura. Last year, Xavier made it to the Elite 8 as an #11 seed and they have brought back many of their key players. Experience will help this team, but when they run into freshman phenom Michael Porter Jr. of Missouri and senior star Joel Berry III of North Carolina, their experience will not be able to carry them past these games. When the season began, Michigan State was mentioned as one of the handful of teams who were likely to contend for a championship. After the Spartans’ star forward, Miles Bridges, returned for his sophomore season, the sky seemed to be the limit for the Big 10 blueblood. While it’s been a hectic few months full of upsets, injuries, and FBI investigations, Michigan State has emerged from the fire and is ready to take another title home to East Lansing this March. They won a Big 10 regular season title and spent a majority of the season in the AP Rankings’ top 10 teams. Michigan State’s legendary (and now somewhat controversial) head coach, Tom Izzo, has a penchant for making deep runs in March, and this year will be no different. After dominating their way to the Elite Eight, Michigan State will face a tough battle against Kansas, but will prevail victorious and make their way to the Final Four. Once Midwestern Regional Champions, the Spartans will finish the job in San Antonio, claiming their spot in history as the 2018 NCAA Tournament Champions.